I decided early in the year that I wanted to recognize each student for something at the end of the year. 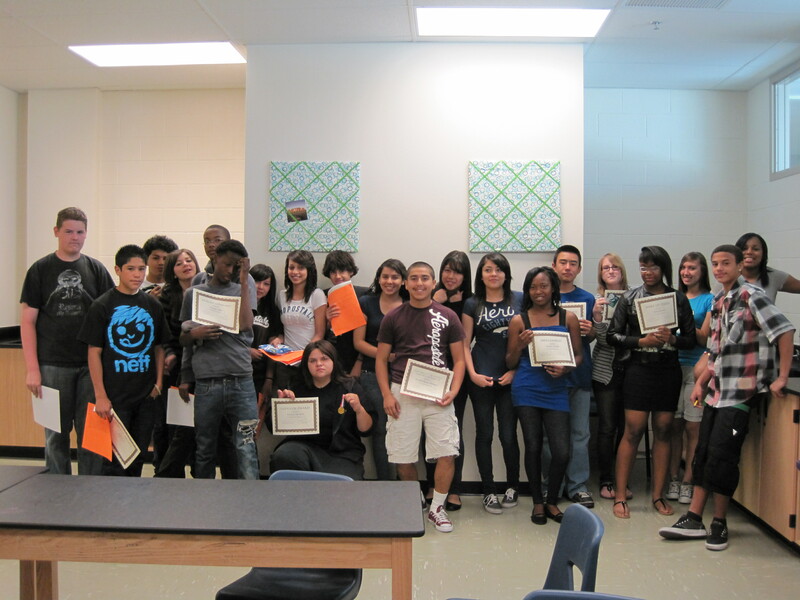 The awards were based on personality, character, and academic traits. I’ll be writing a post soon about the award titles and explanations. 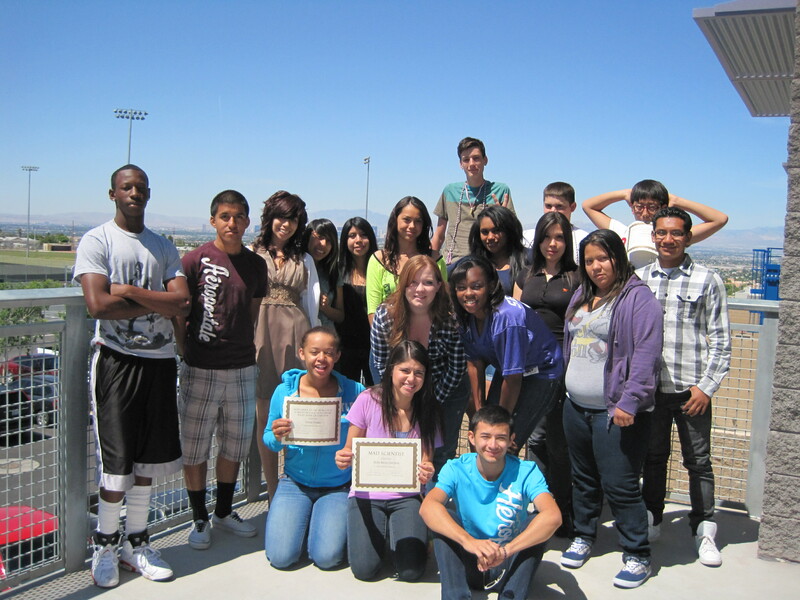 This class had its ups and downs; lots of big personalities as well as students who made better and worse choices. They may have driven me crazy, but they always kept me laughing!! 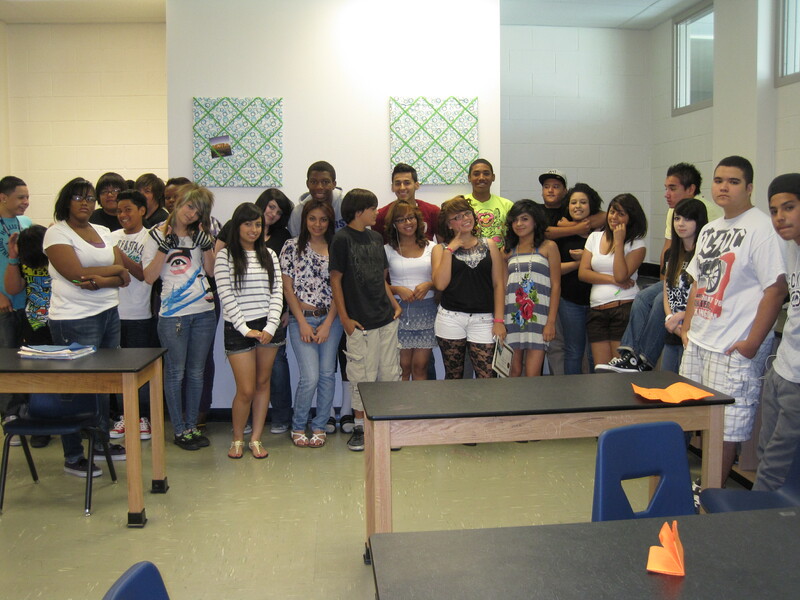 This class was so dependable. They may have been mostly distracted seniors, but they were always involved in class discussions. It was really fun to be able to connect with such a small group and I am really hoping they keep in touch! My honors students…these kids worked really hard this year. I am so proud of them; some started the year with no self confidence and ended up sticking with it and surviving the year. I’m glad some of these kiddos are juniors and I can see them around school next year! This class had me on my toes all year. In September, I would not have been surprised to see any number of them hanging from the ceiling – about half of them were in cahoots with one another and they drove me crazy!! Somewhere around the middle of the year they became almost pleasant and I can honestly say I’ll miss them. I think we came to a point of mutual respect. There were also a few students in the class that started the year expecting to fail and behaved accordingly; by the end of the year, they had made vast improvements and (I hope) gained self confidence. This class had the broadest range of personalities and attitudes. We had a hard time focusing at the end of every day, but we always had a good time doing it! No matter what the circumstances, this class could always laugh! I am so thankful for all that I’ve learned this year as a teacher and all the students I have gotten to meet and work with. I’m sort of feeling like a new parent: I don’t know how I could ever love my second year of students as much as the first, we’ll just have to wait and see! 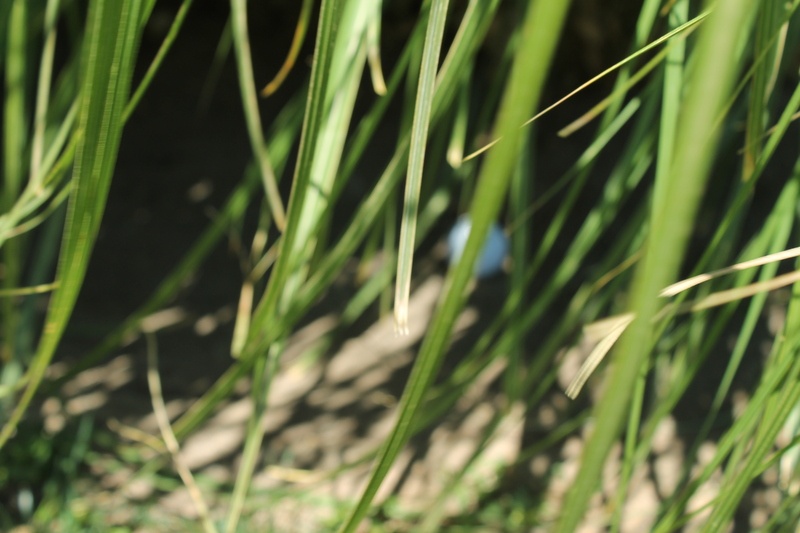 Since there were no windmills, I decided to add some intrigue by hitting my ball in the bushes. Nothing like a gorgeous day of golf in the desert! 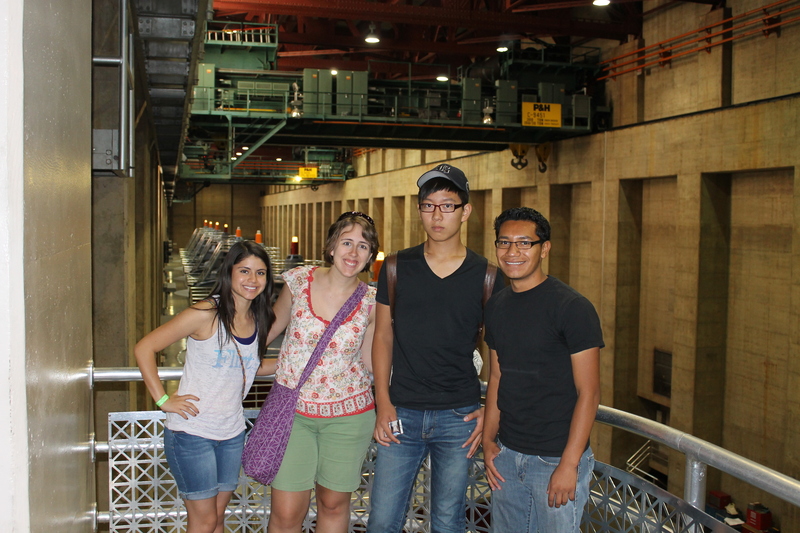 Two other students were able to come with us as well! I love it when my kids get as nerdy excited as I do!! 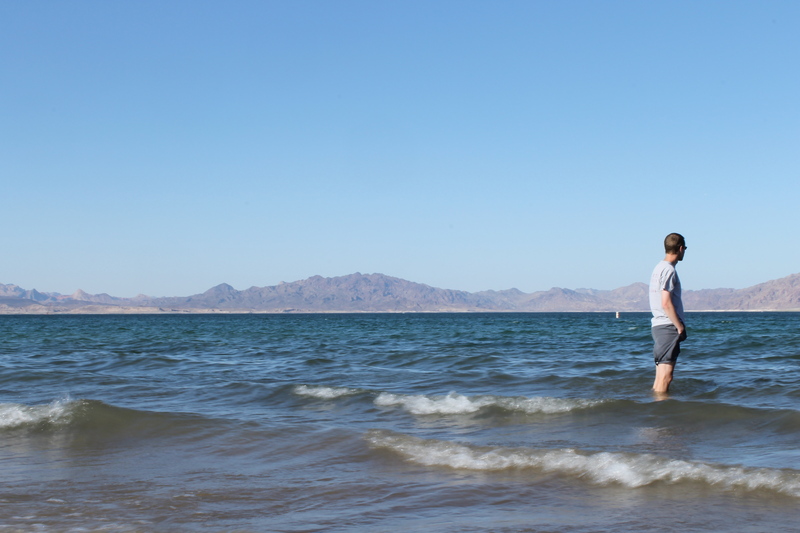 Then we stopped by Boulder Beach at the Lake Mead Recreational Area just to give our Korean friend a bit more exposure to the beauty of Southern Nevada! Hubby and I enjoyed the lake - we miss the New England coast!! I love watching desert dwellers play in water!